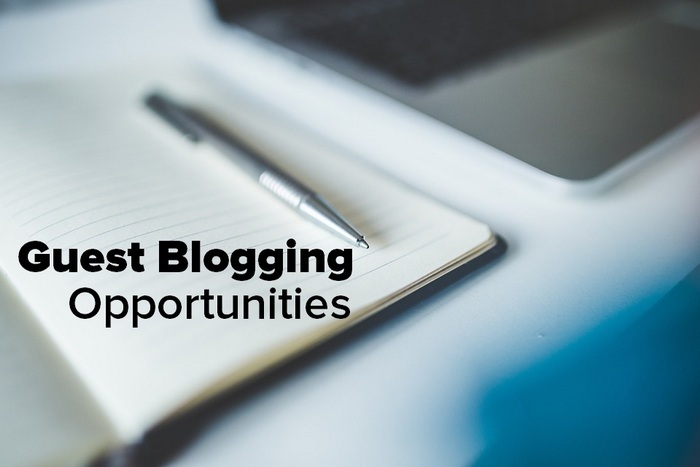 Finding guest blogging opportunities can be difficult. 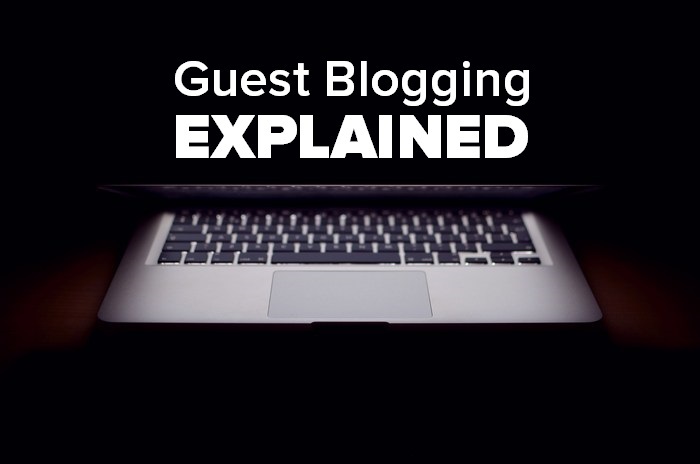 In this article, we explain why you should start guest blogging, how you can find great blog sites to guest on and why as a webmaster you should or should not be accepting guest blogs. Guest blogging is the writing of articles, blog posts or press releases for other websites. 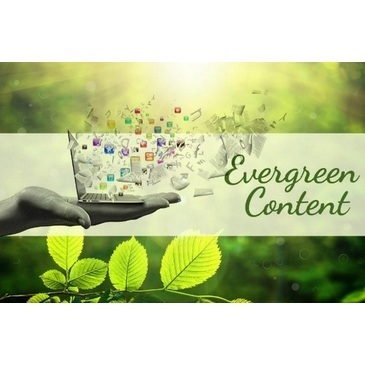 All websites require original, authentic content which is extremely time-consuming to create. The guest blogger/site owner relationship is very beneficial if both parties have sites or blogs of real relevance to each other. Guest writing within your niche allows you to build and establish your authority. You become known as you are seen on different blogs. And this provides you with even more guest blogging opportunities over time. Webmasters will often promote an article that you have written for their site via their personal or branded social channels. It really is in their best interests to promote your article as it brings established and new readers to their site. 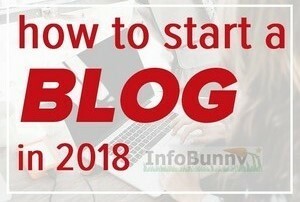 Here at Infobunny we go a step further and will SEO optimize the guest posts that you create so that Google loves you. Backlinks to your site are a big Trustrank measure. Finding good guest blogging opportunities will give you one or two backlinks to your site on any articles you write, depending on the webmaster’s guidelines. 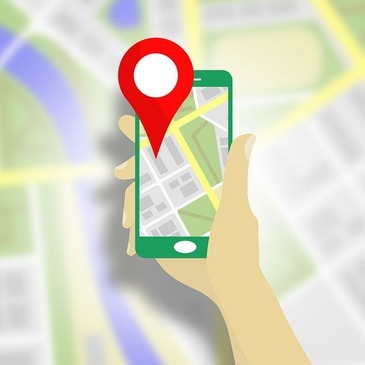 These links over time become very valuable and help you rise up the SERPs as Google starts to trust your site. Webmasters all have a particular style and look about their sites. Guest writing is a great opportunity to gain new blogging skills, to learn new tricks and just to generally improve your writing. As you are seen more you are recognized more especially if you have a profile avatar image that carries over to all blogging sites that you write for and your social channels. Guest writing is great for establishing and building your brand. Guest blogging builds relationships between bloggers and webmasters. Especially if you’re writing for a blogging community like the Power Affiliate Club. Power Affiliate Club is now paying their authors. Pac accepts guest posts, you can then move on to become a Pac Author and get paid. Guest posting on community blogs like Pac Club can very easily lead to other writers taking up guest opportunities on your own blog. You have to have good reasons to seek out guest blogging opportunities. Why are you looking to guest post? If you are looking to create great long-form informative content on another bloggers site related to your niche who is also posting great content then great that’s a good reason to get started. If however, you are looking just to gain backlinks and build your authority and the content doesn’t really matter then that is a bad reason. Google has warned in the past about guest blogging saying that those looking to post just for links will be penalized or have the links discounted. They know full well that some bloggers just post for links and they see this as an attempt to gain better SERPs (search results). If your intentions are good then I don’t see any problem with guest blogging or accepting guest posts. But the content that you create needs to be as good as the content that you add to your own blog if you, of course, have one. 1/ How long is the content? As mentioned posts that rank well on Google tend to be long-form. If posts are short and shallow then don’t accept them. 2/ Does the content qualify what is written? If you receive a guest post submission that makes bold statements saying do this or do that then the content needs to be qualified. Google likes articles that qualify and link out to authorities that say the same. It helps to legitimize what is written. It is good practice to allow guest bloggers to link out to another article that they have written, a reward if you like for adding great content to your site. It is not good practice to allow multiple links to the author’s other posts. If you do then I suggest that you nofollow all but one of the links so that Google then doesn’t pay too much attention to them. 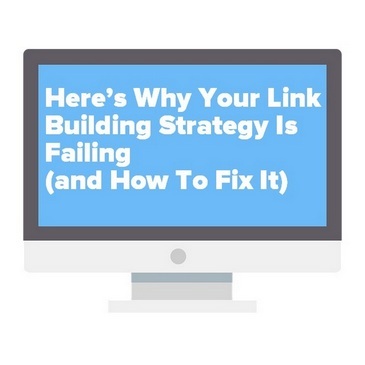 Otherwise, they may see this as a link building strategy on the bloggers part. Never link to homepages or unrelated pages. 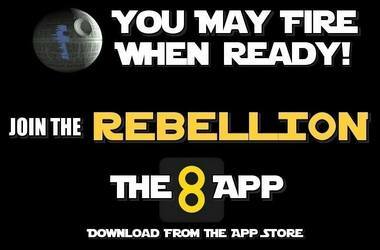 And look for hidden links. It is great when you receive a submission that is pretty much good to go, good long-form content well written and qualified, submitted with images are gold dust. Are they Free to use? The images also need to be uploaded to your site and not hotlinking in from somewhere else. Google doesn’t like duplicated content and if it finds an article on your site published somewhere else then it looks to see who first added the content and who added the content. If you are adding duplicated content to your site then the best case scenario is that it just won’t rank, the original will if its good enough. You could also find yourself penalized. If you have your own blog site then add a side panel banner or call to action. Advertise that you are looking for guest blogging opportunities. 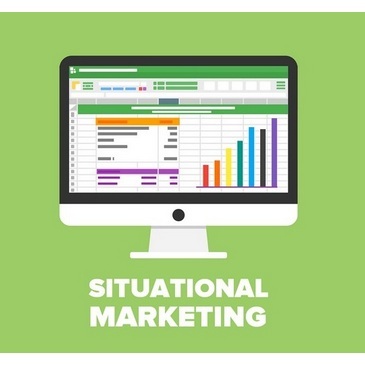 As people visit your site they will see that you are offering your services. You will need to offer them an easy way to contact you. Some kind of contact form or email link will be required. Social media is also a great way to share your message. 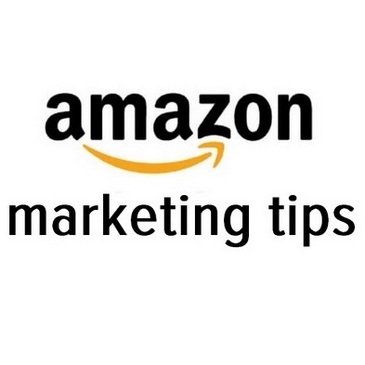 Make sure that you are following users in your niche. Then get busy sharing the content that they create to build relationships. You can then drop them a message and make contact. Social media is also a great way to share your message. Make sure that you are following users in your niche and get busy sharing the content that they create to build relationships. You can then drop them a message. ViralContentBee is a great site that you can submit your articles to. Not only will you get masses of social shares, you will also find lots of bloggers within your niche. Visit other blogs, you will find lot’s to check out from ViralContentBee, and look for a site Contract where you can email your pitch your blog idea to the webmaster. Join blogging communities, we have already mentioned the Pac Club but you should also check out MyBlogGuest which is another community of bloggers. Guestr is another to check. And of course, hit Google and do some searching. Google has said that if you are guest blogging for links then that is very dangerous for your site. It is also dangerous for those accepting your guest submissions for all the reasons highlighted above. I don’t have a problem at all with guest posts because as a webmaster it is very tough to keep writing consistently and creating valuable content especially if you are pushing 2000 words. We don’t have an army of writers summiting endless posts, we can pretty much be on our own. So accepting guest posts is a great idea if it is done and accept with the correct intent. I don’t believe that Google will penalize good content. I do believe that Google will penalize short, shallow content laced with seemingly endless do-follow links to the author’s own site. Google wants to link authority to be organic and authentic and it is not if you are adding your own links. ARE YOU READY TO START GUEST WRITING? We are always looking for social influencers and bloggers to work with us at Infobunny. If you are interested in becoming and Infobunny Contributor then drop us a message by visiting our Contact Form. Never do keyword research again. Do this instead! 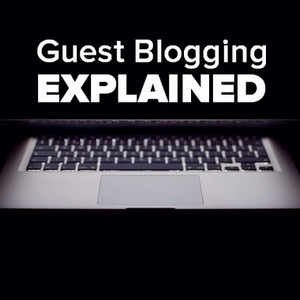 What is Guest Blogging? and how to find guest blogging opportunities. 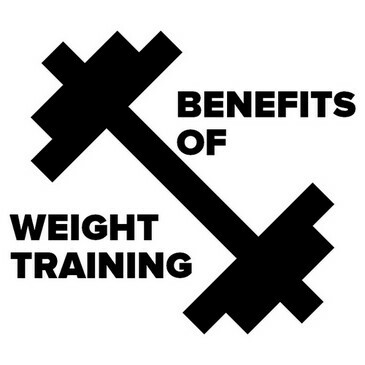 Great information . But mostly people do blogging for high payment. Great article on the benefits of guest blogging. It’s a good way to pick up new subscriber. I have done a little guest blogging, but I’ve mostly welcomed other bloggers onto my site, to help me keep up when I’m short of time to produce new content. As you say, writing blog posts is very time consuming. Not sure I agree with Vijay’s comment 🙂 I wish! Including a message on our blog about our availability for guest blogging is a terrific idea. Thanks for the resource links. Your welcome, I hope they are useful. 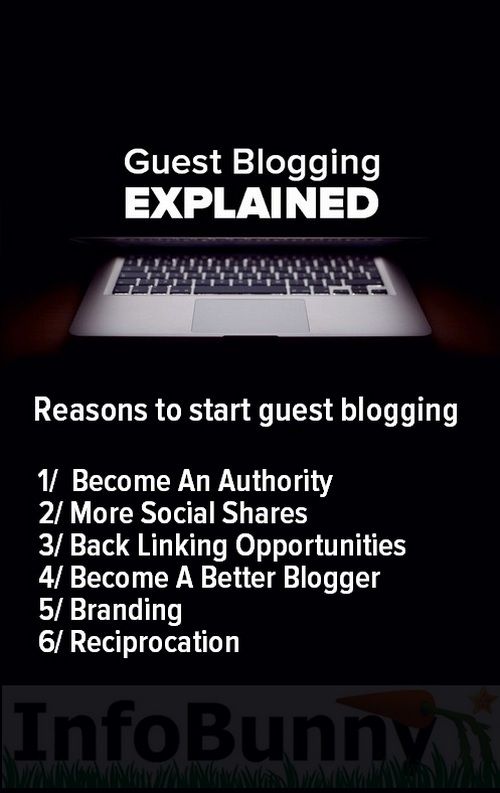 Great info on guest blogging. Will share this on my Facebook page. Checking out the links you mentioned. I just last week added a tab on my site for guest bloggers to my site. I will be adding that I am available to guest blog as well. Thanks for the info. Take care Infobunny. I love Viral Content Bee and promote there often. I have been guest posting more lately. Even if you don’t get new subscribers, you get a link from a top blog. Yes you can pick up lots of traffic to your site from guest blogging. 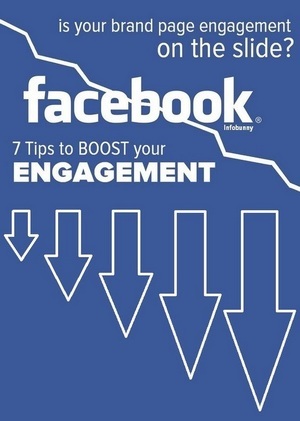 Social sharing is also very important but if we use LinkedIn we may go in right direction i.e. less work more result. But it is the process that you are talking about that Google is not that happy about. The backlinks gained are not organic, that is why what you create has to good otherwise your going to get flagged in some way. Great article! 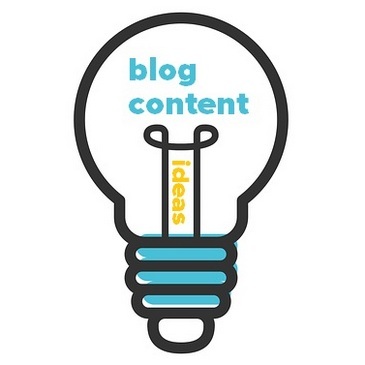 If the content you create is good – guest blogging could really be a great opportunity for both sides!